Founded over a decade ago, the client has come to represent one of the most important casino game production companies in Romania. 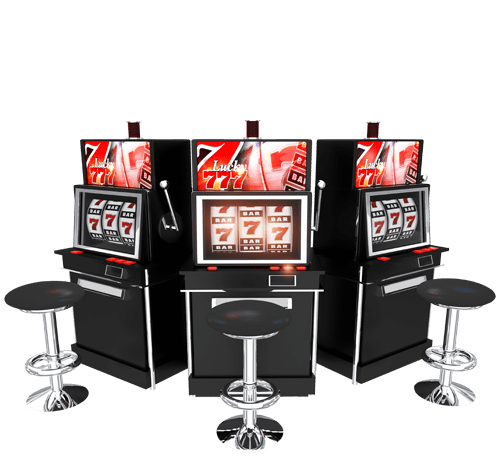 An overwhelming desire to create competitive products for the local market has ushered in this era of success, as the client single-handedly took the global market by storm and became a leading exporter of slot machine hardware. On top of producing intelligent and superior products, the client is also one of the only Romanian manufacturers possessing international BMM and GLI certifications. The company operates a consumer-centric business model, carrying out a strategy that is set around satisfying all of the partner and client requests through a wide range of services—production, accessories, electronic keys, assembly, and jukebox functionalities. Through careful customer care and quick response times within the service department, they have created a positive and loyal consumer climate. To maintain their positon as a respected proponent of the gaming sector, the client came to Chetu for further game development. To start the engagement, Chetu began formulating a robust project plan using discussions and documents provided by the client as a jumping-off point. The client provided the partial code base that their internal developers had begun engineering several months prior. After completing the Windows migration, the client decided to migrate the project further by adding a second migration to the project plan. Following the first migration, Chetu would transition the code to a specific hardware manufactured by Advantech. The specific technology is DPX-E-135, an AMD embedded G-series gaming platform. Structured around the client's requests, the project began with setting and compiling the code base in a Windows environment and then resolving dependencies and issues related to the compilation of the code base. Once tested, the Chetu team then ported the code onto the Advantech gaming board. Chetu established the Windows environment, continuing the work first propagated by the client's development team. Finding the compatibility of the libraries and header files used for Direct 3D in the project, Chetu engineers compiled the code on the Windows platform. The next step included the Advantech gaming board. To complete the client's demands, Chetu integrated the peripherals like Bill Acceptor, Coin Hopper, and other gaming hardware modules with the Advantech board and code base. In terms of the user interface, the Advantech board will be the core of the cabinet and will administer all the actions filtering through the cabinet and integrate them with the game. Chetu also integrated a series of hardware with the application including buttons, touch screens, and ticket printing mechanisms. Chetu then began engineering a software program that gives payout reports on the basis of established parameters such as number of reels, number of symbols in each reel, number of winning patterns, and the payout of each pattern. These parameters were programmed within an XML file. The software program calculated payout for normal games, as well as free games. Admin can manipulate the payout from the internal settings, calculating usable profit percentages on the basis of calculated payout percentages. This was programmed using .NET framework, giving the software a powerful base to build from. The client continues to collaborate with Chetu to revolutionize their current offerings and foster continual growth for the company. Not only did the client receive a completed gaming platform, they also obtained the source code to a payout software that improves their operational potential significantly, giving their customers the power to control their profit margin to a greater degree.